The United Kingdom ranks #6 in Pearson’s latest Learning Curve study. The United States ranks #17. UK 15-year-olds scored several places ahead of US students, on average, in the 2012 PISA tests for science, math and reading. These are only numbers, however, and while correct test answers are easy to measure, ingenuity and creative thinking are not. Regardless, international studies indicate the United States’ education system is slipping while the United Kingdom’s is holding strong. The Pearson and PISA studies lump together the four parts of the United Kingdom (England, Scotland, Wales and Northern Ireland) although they have independent schooling systems. For the purpose of this discussion, we will focus mainly on England. English children start primary school the first September after they turn four. It takes psychological testing and special clearance to get an American child into kindergarten before five. At a young age, they are dressed in uniform and started on a learning path. Quality education before the age of five is proven to have a great number of benefits including increased future salary, decreased chance of repeating grades, better chance of home ownership and even longer marriage. 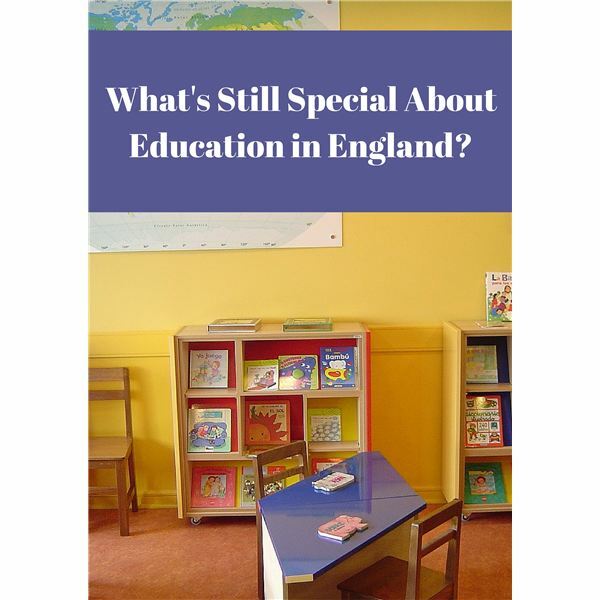 Knowing this, England provides 15 hours of free nursery education 38 weeks a year. This preschool takes place in state nursery schools, primary schools and private facilities. The English know it is better to get students off to a good start rather than fix the problems caused by a lack of early education. The English start testing early, too. At the age of five, students’ development and learning achievements are measured. They are given an Early Years Foundation Stage Profile with guides the next step of their education. The English school year runs from early September to mid-July, providing a summer break of about six weeks. This is a short season compared to the three months provided by most American schools. The “continuous curriculum" concept is growing in the US, however. Summer learning loss is the slipping of academic skills over the long summer vacation. Students score lower on the same standardized test in June than they do in September. A century of research suggests they lose two months of learning before the next school year starts. An active summer learning program can certainly reduce this effect, but that is difficult for many parents to implement. Shortening summer break and placing more days off in the rest of the year diminishes the learning loss. Some US schools are adopting alternative calendars to promote continuous learning and prevent the loss of knowledge during summer months. In England, it is already the standard. An idea unique to English education is the form tutor. This person is assigned to all the students in one particular grade and operates similar to a homeroom teacher. They monitor progress, apply discipline, counsel, deliver news and are a liaison to parents. They follow the class from year to year, forming a relationship much longer than any particular teacher does. They (optimally) become someone students trust. They can solve problems and ease concerns. The form tutor is an important part of each student’s growth. Moving from youth to graduation is not simple. Having a consistent advisor is very helpful. England and the whole United Kingdom take great pride that they are home to four of the world’s top six universities. Cambridge, Imperial College of London, Oxford and University College of London fall along with MIT and Harvard at the top of the QS Top Universities list. The schools are not only great because of tradition, endowment and commitment to quality. The UK aggressively recruits students from around the world. The British Council provides many excellent arguments why you should come from your home nation to study in the United Kingdom. The point is not only to educate international students, but also to learn from them. Bringing new cultures, languages and viewpoints to school makes the entire institution stronger. England has always been aware of its status as a small island on a large globe. It looks outward rather than inward. What can we learn from our neighbor across the pond? Perhaps we will not all button up our blazers and knot up our school ties, but we can entertain some new ideas. The English dedication to early education is admirable. Many US families struggle to afford preschool or lack the time to find the right place. In England, education from three to five is free and structured. Shorter summer breaks can prevent learning loss. Schools should consider modifying schedules and study those who are already trying it. Yet different vacations for different kids at different schools could be a mess. The concept of a form tutor, or a homeroom teacher forming a long relationship with a whole class of students, provides stability and support. The United States does need to open up. Super-power status is fleeting. Ask the English, who used to have an empire upon which the sun never set. We need to bring students from all over the globe and learn from them. Whatever the distance from New York to Los Angeles, we are still a small cog in a big machine. We need a broad awareness.